I enjoy taking part in shoots and editorials. It’s like you get to be a princess for a day, with professional makeup artists and hair stylists getting you all dolled up. The only thing I dislike though is when I’m asked to style myself and I have to bring so many things to the shoot. Don’t get me wrong. I like styling myself. I mean, I practically style myself on a daily basis–shoot or no shoot. I just hate the part where I have to pack all my stuff. It can get a little messy. But since I’ve been doing this for quite a number of times already, I’m slowly finding ways to make packing a little bit easier. Here’s how I do it. Pre-shoot, I bring my clothes in hangers like this. I have them pressed before I go to the shoot so that I don’t have to bother the stylists or the team for a steaming iron. This way, I save both time and energy. Post-shoot, I keep my clothes neatly folded in these cases. I like using these whenever I travel as well to keep my clothes in place. They’re really handy! I got a smaller case for my shoes too and got it personalized so that no one would grab it by mistake. 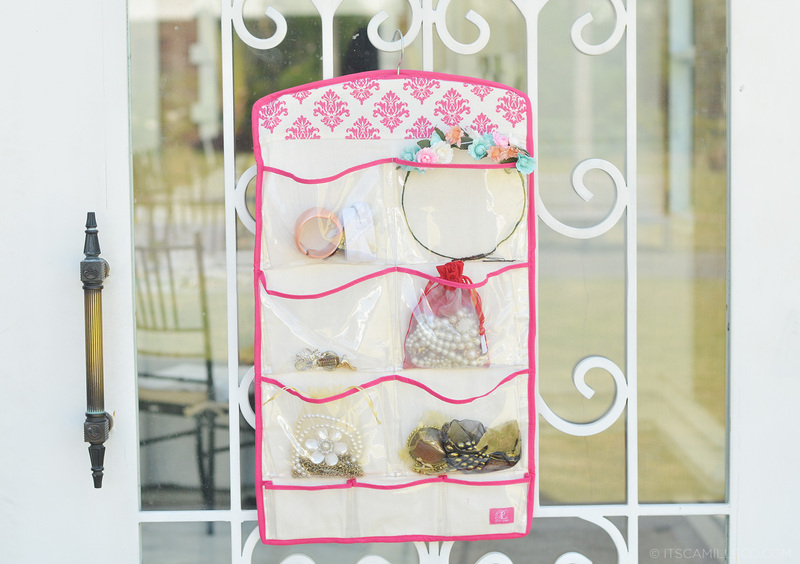 When it comes to my accessories, I store them in hanging organizers like this. I used to place them in jewelry boxes for shoots but they tend to get a little heavy. Plus, my necklaces and bracelets get all tangled up inside the box so I wanted something with separate compartments. It’s easier to find my accessories this way too. I store the little ones on one side and the bigger accessories on the other. As you can see, a lot of my organizers are from Pink Label. It’s every neat freak’s dream come true! 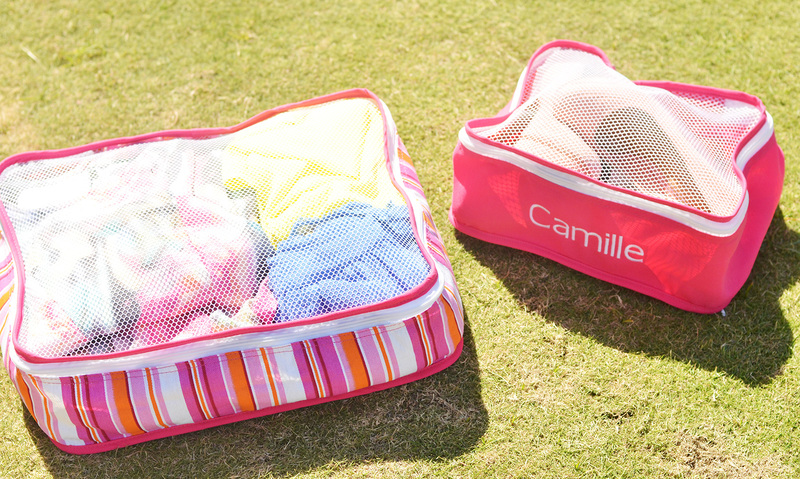 Pink Label actually has so much more products that are perfect for your closet and travel bag. 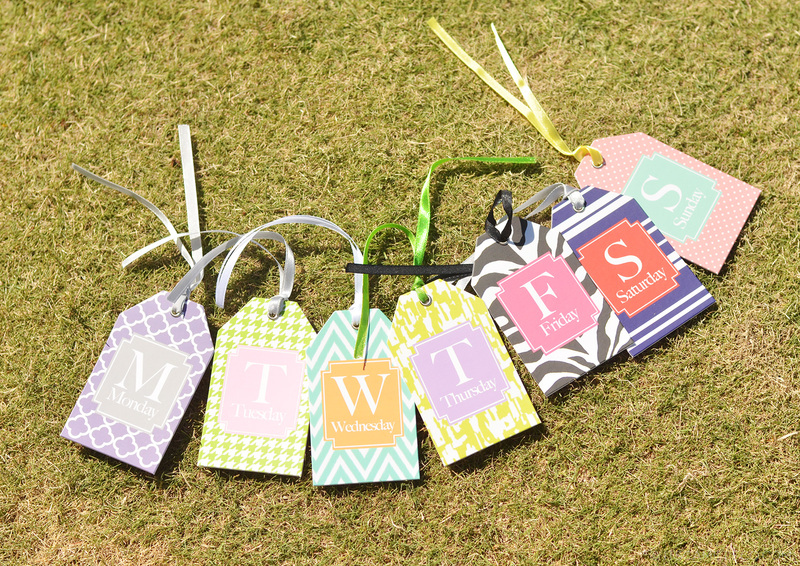 They even have daily wardrobe planners like these! Who would’ve thought?! For those of you who plan their outfits ahead. of time, you’ll love these. 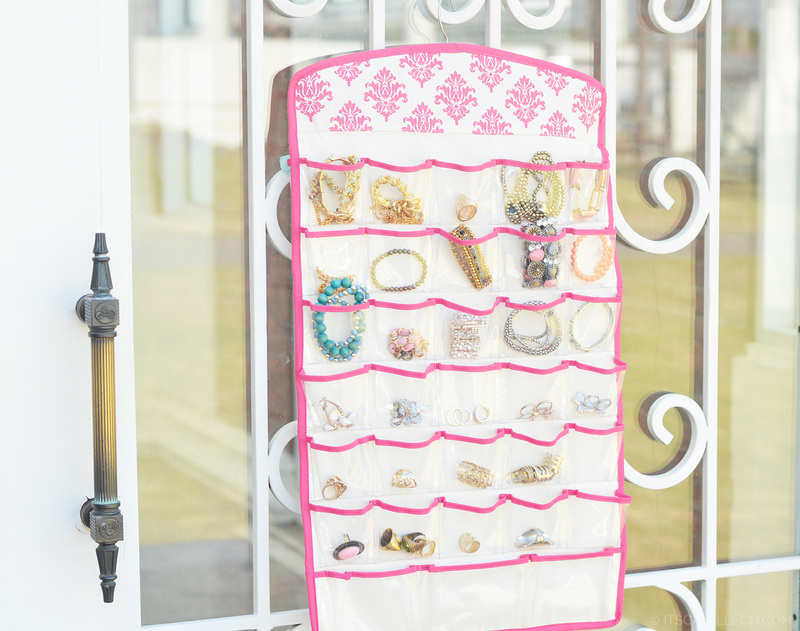 Just hang them together with your pre-styled outfits for the week! Since I don’t really have time to pre-style my daily outfits, I use these to label my outfits for shoots. So now that you know how I pack my outfits for shoots and editorials, it’s time to show you what I wore behind-the-scenes. Most of the time, I like wearing laid-back clothes to shoots. It’s always best to be comfortable in situations like this because it can get a little tiring sometimes. Plus, I don’t really want random strangers who see me after the shoot to think that I’m off to prom or something. To balance off my heavy makeup and styled hair, I try to compromise with my casual outfit. You can call it my own version of the “model off-duty” look. Hi camille i really love ur bag i wnna ask what size is this one?? Loving this very casual-chic vibe, Miss Camille! Thank you for sharing the organization tips on photo shoot packing as well. This totally rocks! Simple yet gorgeous! I’m a bit curious. How will I know what to pair with a denim jacket? I have some of them but it’s starting to get hugged by dust in my closet. :( Thank you! You look great, Ms. Camille! And may I say… You look a lot toner! Evidently, your hard work in working out is paying off! Haha! I just wish we could all master that model-off-duty look! I do? Yay! Thanks Kyla! ang angas mo dito :D haha! 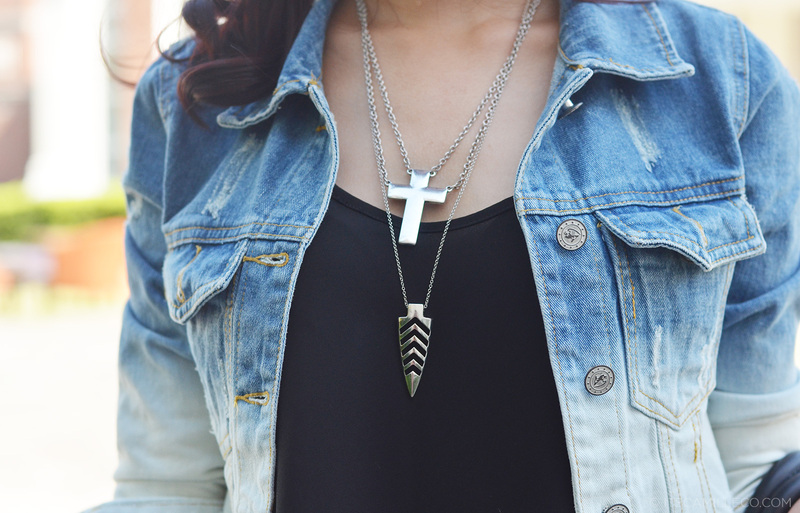 You seem to like cross necklaces a lot. And I don’t blame you for that. Hoho. That’s because they’re so versatile and full of character! :))) Anyway, I was visiting your previous blog posts kasi. Then I stumbled upon your “Green & Gold” outfit post. I read in one of your comments that you bought your Celine bag from France. Then here, you said that you got it in Hong Kong. I’m confused. You have two Celine totes kasi right? I need those outfit planner tags in my life! Its ingenious! HI Ms. Camille! You are so stunning! If you don’t mind what’s your religion? So in love with your outfit <3 so pretty! Enter my Dskon.com x Rebel’s Mint Closet international giveaway! I love how organize you are. May I ask what’s your religious view? Is the One Teaspoon shorts available locally? :) do they have a store or an online shop? :D thank you! Hi Ms Camille, anything you wear really looks good on you. Btw when you first dyed your hair did you achieved the color you wanted? Cause I’m having this doubt going to salon for hair color. Paying expensive for me to know that it doesn’t have that effect on me. Got very sensitive hair. They suggest I go for inoa and im hoping it would work out. Got really black hair and wanna go for a change :) thank you. Cute organizers. I’ll make sure i get some of those! I have always wanted a Celine mini luggage tote. I want to invest in one but I’m not sure where I can buy it. Any ideas? 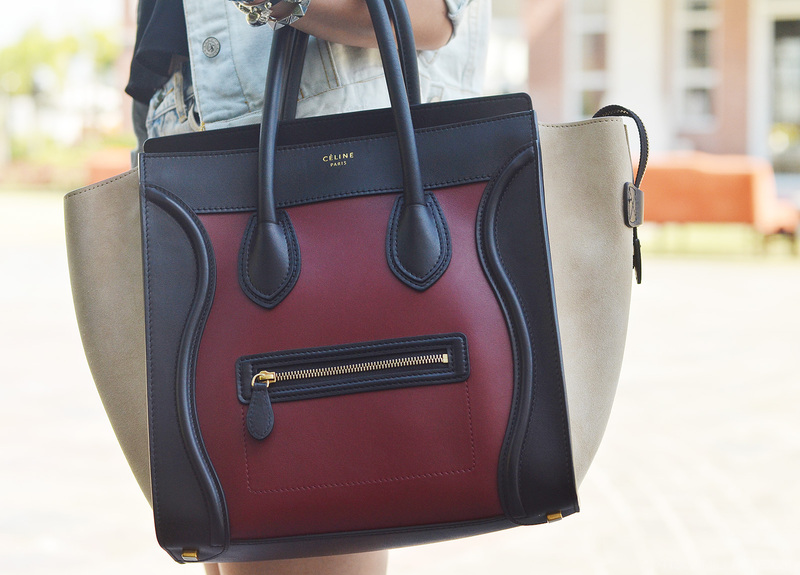 Btw, that Celine bag is gorgeous! Thank you Ainslee! :) These will be of great use to you! I really like your outfit – especially your shorts and ombre jean jacket. If you don’t mind – can you tell me where you got your celine bag? I really want one but am not sure where to find it. Thanks! Tama lang yan, trial and error :) At least you got some right! :) Thanks Alyssa! Haha! Wala eh. I get breakouts too from time to time. I’m very normal haha! Hi! Just wanna ask where you took your pictures? :) Looks like a super nice church! So cute hanger! I love that. What’s on your right side?haha (2nd & 5th photo)just curious. I totally love denim and I like how you’d style it, so “IT GIRL”! I really admire you. What right side? Thanks Judy! 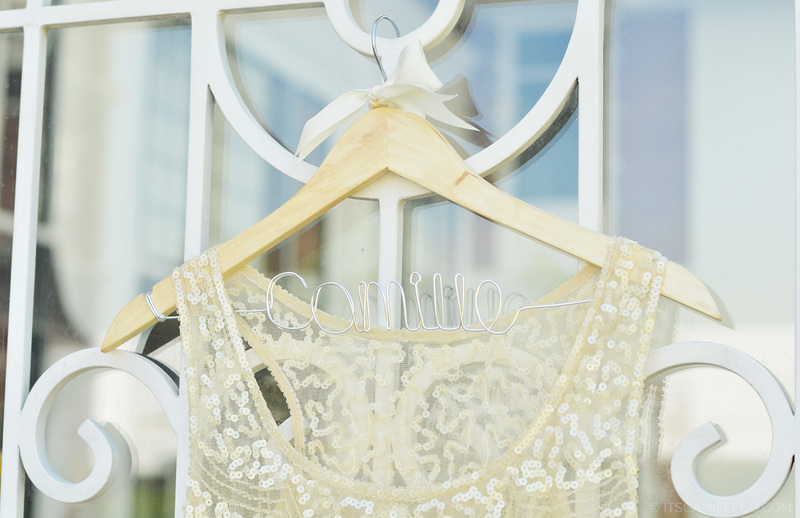 Why– so– perfect, Camille?! Goooooorgeous! I’m Catholic :) Thanks Raxelle! love your personality,the way you carry every dresses……. Gosh! That ombre jacket! I would definitely steal it from you. Joke. That’s a to-die-for staple, Ms. Camille! love the personal organizers!!! <3 haayy i really love to read your blog! i never get bored and it is very informative! haha! Yay! Thank you Vina! I always worry na I’m boring some of you na! so what’s your religion then? you’re a chinese buddist ? you’re a Chinese Buddhist ? Your face seems so poreless! !